Today I got to harvest my first jar of honey! 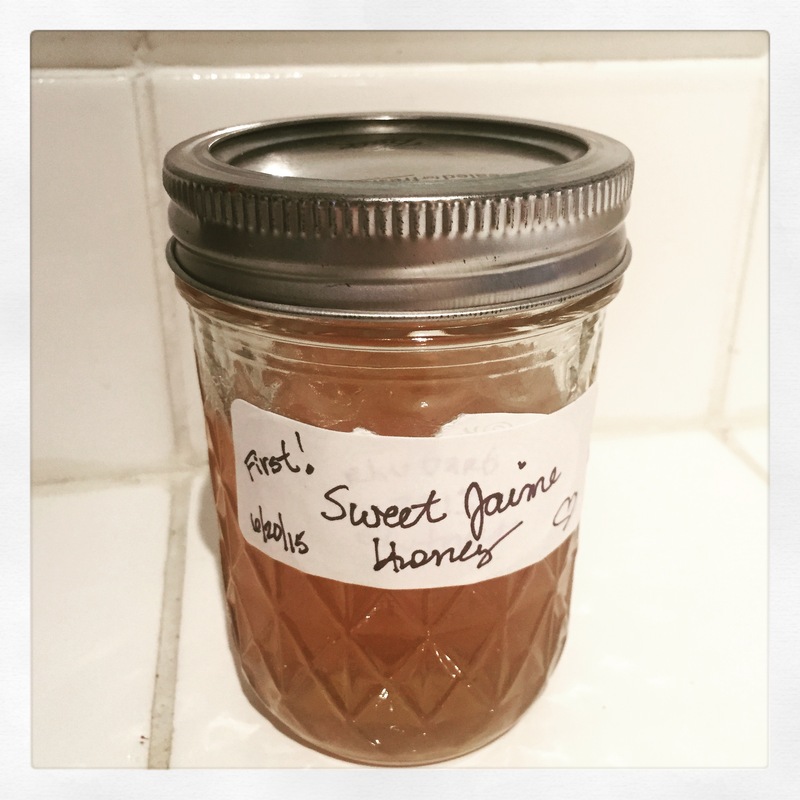 The Sweet Jaimes have really packed on a lot of honey in the past two weeks with the blackberry honey flow. One of the frames of honey was super over-built and bubbled and wonky and wouldn’t fit right in the hive, and was causing them to mess up the frame next to it, too. So I pulled out that frame and cut off the strangely-built chunk, and then put the frame back in the hive. Hopefully the bees will clean up the mess and re-cap (or move) the honey. I rearranged frames so they have straighter edges to follow. The beeswax chunks I removed I crushed in a strainer and the raw honey dripped into the jar below. Almost a cup for us humans to taste! Previous Previous post: Honey and zombees!